As humanity expands to become a multi-planetary species, some important questions must be considered: Can we bring cats? What about dogs? Also, can we make wine in space? Thankfully, some scientists are hard at work answering the first two questions—and now, a scientist from NASA’s Vegetable Production System called “Veggie” says space viticulture might be possible with the right technology and a lot of patience. Veggie grows a variety of salad-type crops aboard the International Space Station (ISS) for astronauts to enjoy. 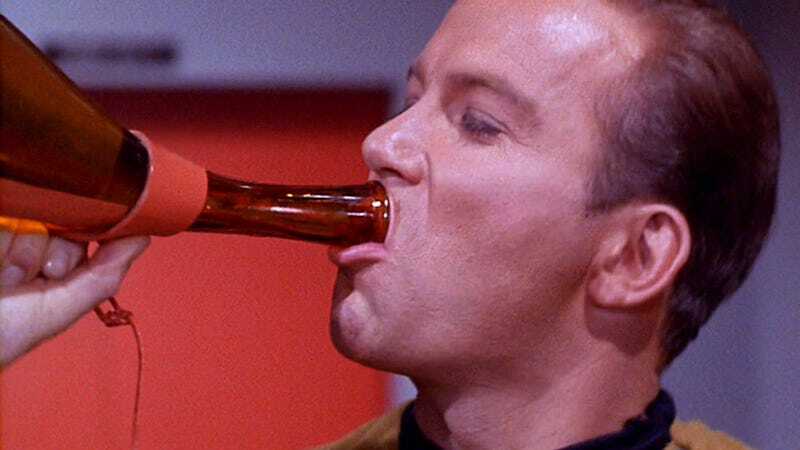 Humans have been crafting wine on Earth for thousands of years, and it’s unlikely we’re going to want to kick the habit once we move into space. Just last fall, China sent cabernet sauvignon, merlot and pinot noir vines into space to see how they fared in microgravity, the results of which are still pending. While the harsh conditions of the final frontier and lack of space (no pun intended) would complicate wine production, Veggie principal investigator Gioia Massa says growing vines on a spacecraft would not be impossible. NASA is not currently working on growing wine vines in space, though it definitely should be. That said, the agency has some experience growing plants in small chambers aboard the International Space Station (ISS), so the Veggie team knows about growing things in tight areas. Though cramped quarters would make wine production difficult, vines are like weeds in that they’re unbelievably resilient. Even with the space situation squared away, there’s still the question of how anything could pollinate wine grapes on a spacecraft. Massa said that next year, astronauts will try and pollinate dwarf tomatoes by hand aboard the ISS. The same practice could possibly be applied to hypothetical space vines. There might even be advantages to growing wine in space. According to Chris Gerling, an enology extension associate at Cornell University, the upside of space vines is that they wouldn’t be exposed to grapevine diseases or bugs like phylloxera, which almost decimated France’s wine industry 150 years ago. Hopefully, viticulturists of the future will find the right technology for space wine. I’d like to sip rosé on my trip to Mars, please and thank you.